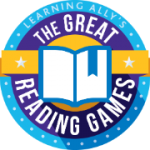 Learning Ally’s Great Reading Games winning schools announced; authors Jeff Kinney and Robert Beatty will celebrate with interactive webinars on Read Across America Day March 2. 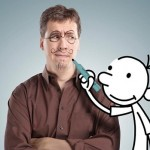 Jeff Kinney, author of the "Diary of a Wimpy Kid" series, will lead a free interactive webinar for kids and teachers on March 2. "Our class has read 8,000 pages, which is phenomenal for any students and especially dyslexic students." What's unique about this event is that all of the participating students have a print reading disability like dyslexia, blindness or visual impairment. Traditionally, these same students are left out of book clubs and other mainstream reading programs – which can damage their self-esteem and cause them to fall behind in school. During Learning Ally’s Great Reading Games, however, these students have shown that they can overcome their learning disabilities with the right technology combined with inspiration and support from their teachers. In seven weeks, 4500 students have read more than 1.3 million pages, using Learning Ally audiobook technology – which provides them with access to an online library of more than 82,000 human-narrated books. They can choose to read titles from textbooks, non-fiction or literature, and download the books directly to their tablets, computers, smartphones, iPods and other devices. Students can read in school, on the go, or anywhere they have a device. The Learning Ally Great Reading Games kicked off in January and will culminate this Wednesday, March 2 - Read Across America Day and Dr. Seuss’s Birthday – with two free national webinars featuring New York Times bestselling authors, Jeff Kinney ("Diary of a Wimpy Kid") and Robert Beatty ("Serafina and the Black Cloak"). The Robert Beatty webinar will follow at 1 pm EST – Live from Valley Springs Middle School in Mr. Beatty’s hometown of Asheville, NC. Register for the Beatty webinar. Leaning Ally will announce the top 10 schools in the 2nd Annual Great Reading Games on its website at http://www.LearningAlly.org/GreatReadingGames. Winning schools will receive prizes, including Chromebooks, gift cards, headphones and student prize packs. In addition, honorable mentions will be awarded in several categories. Winning schools, teachers and students will be notified individually and more information will be made available on winners locally. Founded in 1948, Learning Ally supports K-12, college and graduate students, veterans and lifelong learners – all of whom read and learn differently due to dyslexia, blindness or visual impairment, and other disabilities. Through its extensive community events and support programs, Learning Ally enables parents, teachers and specialists to help students thrive and succeed. The organization hosts live and virtual events for families and teachers; provides instructive webinars led by experts as well as peer-to-peer sessions led by students; personal consultations for parents; and professional development workshops for educators. 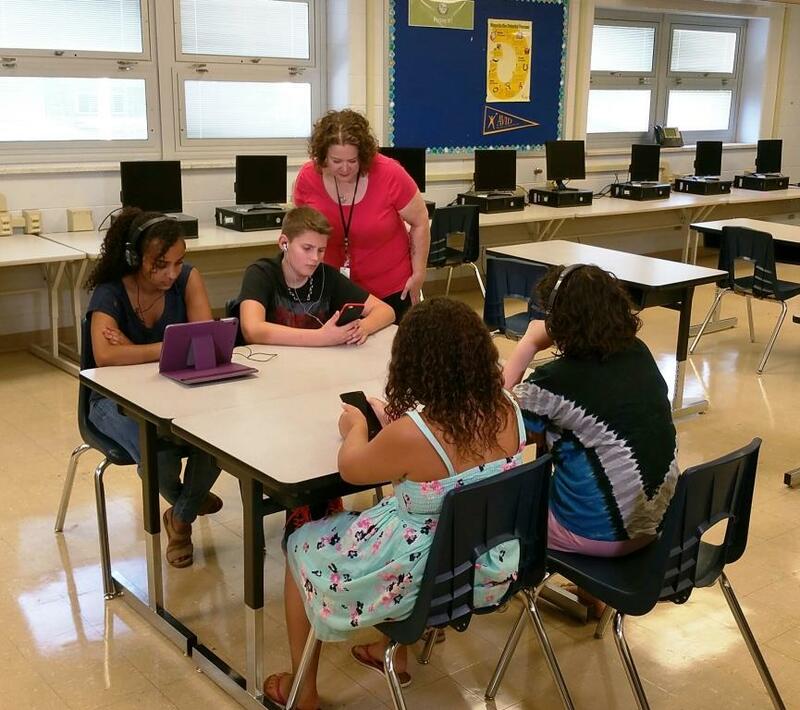 Learning Ally’s collection of 82,000 human-narrated audio textbooks and literature titles can be downloaded by students using their smartphones and tablets, and is the largest of its kind in the world. As a 501(c)3 nonprofit, Learning Ally is partially funded by grants from state and local education programs, and the generous contributions of individuals, foundations and corporations. For more information, visit http://LearningAlly.org. Over a million audiobook pages have been read by students with print disabilities during Learning Ally's Great Reading Games competition. 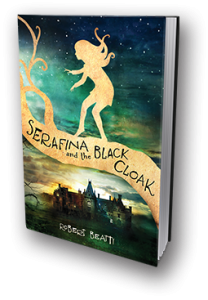 Author Robert Beatty will lead a webinar for students and teachers on March 2, Read Across America Day. 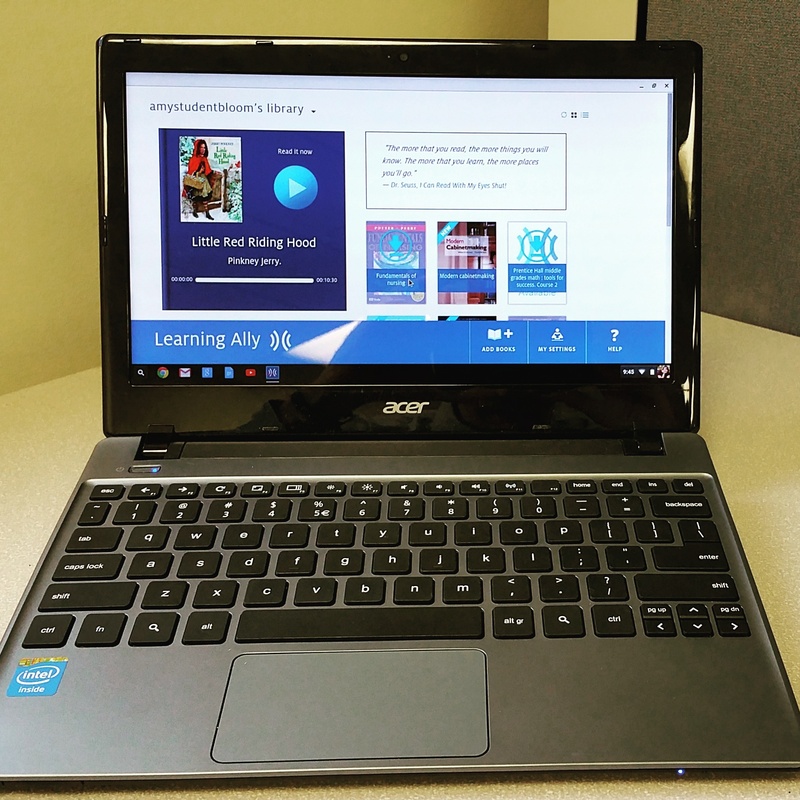 Learning Ally's cloud-based library of 82,000 audiobooks is accessible on many mainstream devices including Chromebooks, one of the most prevalent reading platforms in classrooms. Using Learning Ally's audiobook learning platform, teachers and students set up their own personal bookshelves for reading in the classroom and at home.